Knowing how to practice bass without an amp is a great thing to have in your back pocket. Whether you want to silently practice bass to not annoy neighbors, or you just don’t have an amp laying around, there are a ton of options to quietly practice bass guitar. Don’t have an amp to practice bass guitar with? Or do you want to practice bass guitar silently without annoying everybody around you? No problem! I'll show you how to practice bass without an amp. Luckily for you there are a ton of different options to choose from for silent bass playing. I’ll run through all of the best options currently available and help you choose which path would be best for you. For most bassists that just want a simple and cheap way to play bass guitar silently, the Vox amPlug 2 Bass Headphone Guitar Amp will be perfect. Read more about it down below along with some of the other options to see what will be best for you current situation. There are many benefits to being able to play bass through headphones. You won’t annoy the neighbors, it’s a great way to practice at all hours of the night, and it’s great for practicing bass while on-the-go. Keep in mind that for all of the options below you’ll want to use some good quality studio headphones. The low-end is something that will need to be handled well and cheap earbuds won’t cut it in this regard. Check out our list of recommended headphones for bass playing. Using the Vox amPlug 2 is the cheapest and easiest way to play bass guitar without an amp. It’s essentially a very small box that plugs right into the input of your bass guitar. You then hook up your headphones to it and jam away. There’s an Aux input as well for playing along to jam tracks. The great thing about this unit is that you can sit on the couch or outside somewhere and use it without having to worry about wires or plugs. For the cost, I think it’s something that all bassists should have in their arsenal just in case you get in the mood to play and don’t feel like hooking up a bunch of stuff. Some cool features included are built-in rhythm patterns (9 total on the bass model), 3 amp types, and separate controls for gain, tone, and volume. The plug also swivels at all sorts of angles so you should be able to make it work with pretty much any guitar and headphone combo. It’s worth noting that you can control the rhythm track volume independently of your bass volume, and you can control the temp as well. Check out the Vox amPlug 2 on Amazon here. There are different models for regular electric guitars that cater to all types of tones (AC30, Metal, and Classic Rock), so if you are playing bass guitar make sure to pick up the Bass model. 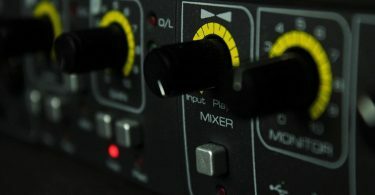 Even though the topic of this article is about playing bass guitars without an amp, there are some great amps out there that have headphone inputs for silent bass practice. The Orange Crush Bass Amp is one of the best you can get. If you just want to silently jam out but still want the potential to use an amp to play out loud sometime in the future, this is the perfect solution. It features an all-analogue signal path, a ported cabinet for improved low end response plus a highly responsive active EQ section. The variable parametric mid band allows for tons of creative freedom when sculpting the perfect bass tone. It’s as simple as using a frequency knob that allows you to choose which frequency you want to cut or boost. The Orange Crush comes with an integrated tuner, an Aux-in for jamming along with backing tracks, and a headphone port with CabSim circuitry. The CabSim circuitry emulates the response of their stage-ready OBC bass speaker cabinets during silent practice. This signal can also be sent to a console for direct recording. On top of all this it’s super small and portable. You can check out the 25 watt version here on Amazon, and they also offer larger 50 and 100 watt versions in case you think you’ll need some extra oomph. If you want a bit more creative freedom and want to go a step up above the Vox, check out the Zoom B1on. It’s a small battery-powered pedal that features 100 effects and amp models. Choose any effect including distortion, compression, modulation, delay, and reverb. Instead of sticking right out of your guitar like the Vox does, the B1on connects to your bass guitar via instrument cable, so you can just set it on the ground in front of you. It has some seriously cool features like being able to chain 5 effects together in any order, a chromatic tuner and looper, and 68 rhythm patterns. I think that having a looper and rhythm machine in a little package like this is really amazing and can help open up many creative possibilities and improve your joy of playing dramatically. The looper even comes equipped with automatic quantization that ensures seamless start and end times. The large backlit LCD screen makes seeing everything easy from a distance, and the ability to Swap, Auto-Save, and Pre-Select your patches makes selecting the right bass preset for the job super easy. The B1on also has an Aux-in slot for jamming along with your favorite backing tracks and of course a headphone input. If you don’t want to use batteries (which have a 20 hour lifespan by the way with 4 AA batteries), you can use the included AC adapter. Check out the B1on Pedal price and specs on Amazon here. If you prefer, you can spend a little extra and get the B1Xon which comes with an expression pedal and a few extra effects. If you’ve ever heard of Amplitube, you probably know how good it sounds. Using the iRig 2 HD, you can connect your bass directly to your Mac, PC, or phone and jam away using the included Amplitube software or your own bass software package. If you’d like the ability to easily record your bass tracks, this is probably your best option out of the bunch. That’s not to say you can’t record using the other methods - it’s just that it’s super easy with the iRig. 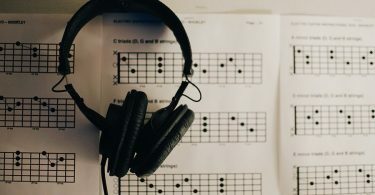 I mentioned it in my article How To Record Bass Guitar To A Computer And Phone, but it’s a very small device that you plug your bass into, and the other end plugs into your computer via USB, or into your phone via Lighting connector or headphone jack. When using it with a computer you just launch a Amplitube in your DAW (Digital Audio Workstation) of choice and it should instantly recognize the iRig 2. When using a phone, just hook it up and launch the Amplitube phone app. You’ll be able to easily record and layer tracks using either of these methods, and there are a bunch of bass amps and settings to choose from inside Amplitube. Check out the iRig 2 HD on Amazon here. How Long Does It Take To Learn Bass Guitar?